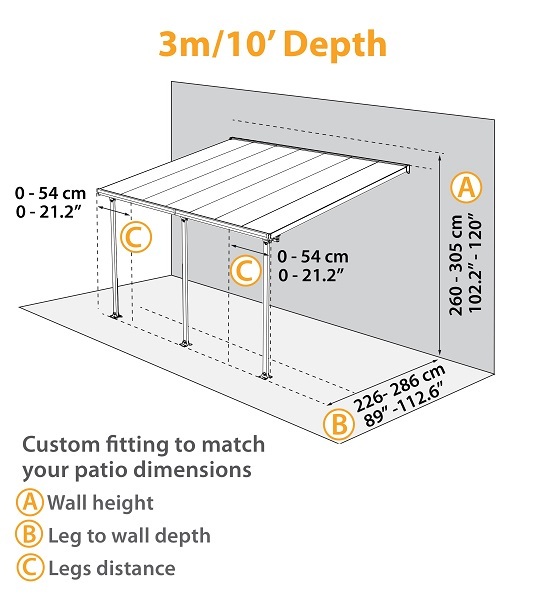 Palram's Feria 10 x 10 Patio Cover is an ideal solution to adding a little shade to your patio without sacrificing style. 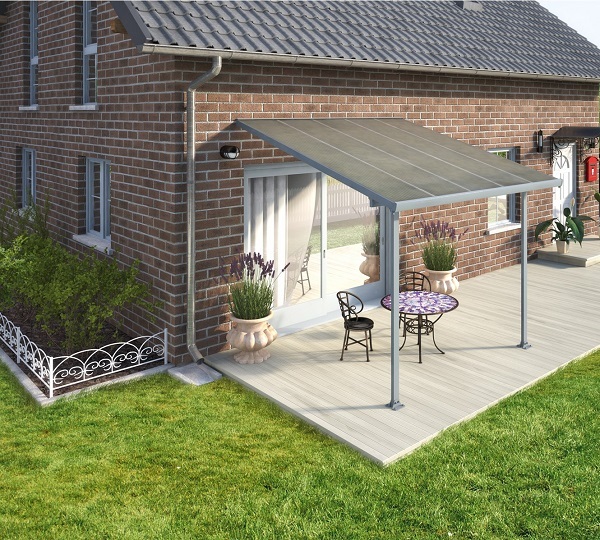 Available in white and gray, this low maintenance patio cover allows 65% of sunlight through while also protecting from harmful UV rays. 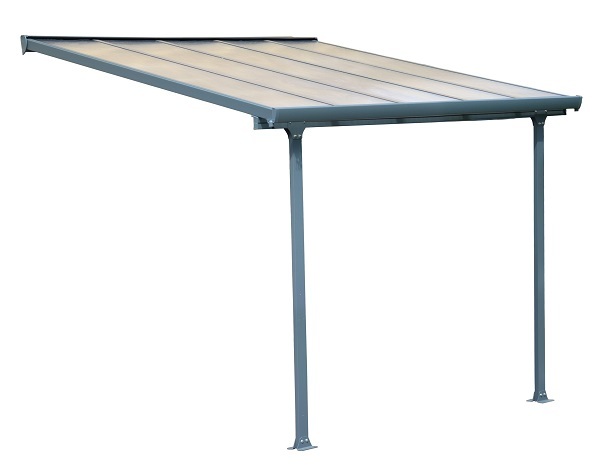 It can even stand up to winds up to 75mph and snow loads of 35 pounds per square foot. With a ten-year limited warranty and U.S. based customer support, you know you're getting a great product from Palram.